Sign in using your Snowflake or Lessons Online account. Don't have a Snowflake account? The site supports Internet Explorer 10 and up, the latest Firefox, as well as the latest Chrome. Lessons downloaded from the MultiTeach® Lessons Community, can only be used with Snowflake MultiTeach® 4.8.1 (released on the 6th of August 2015) and newer versions. It is not possible to upload lessons that were created with versions of Snowflake MultiTeach® older than version 4.8.1. If you wish to upload lessons that you have created with older versions of Snowflake MultiTeach®, import them into the latest version of Snowflake MultiTeach®, export them and accordingly it is possible to upload them to the MultiTeach® Lessons Community. To register an account, simply press the SIGN IN button in the top right. Then press the Don't have an account? link. After you enter your information, you'll receive an email with a confirmation. If you do not receive this email, please check your spam filter. Please contact us if you need any additional help with the registration. To sign in, use the “SIGN IN” button in the top right. The first time you sign in, you will be taken to your profile edit page, where you may fill in your name and other details. Site logo. Press this to go to the Frontpage. 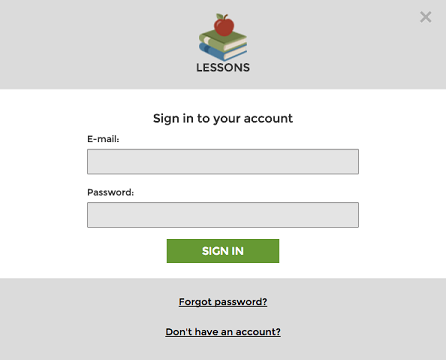 Lesson Upload button. Press this to get to the Lesson Upload page. Search. Search for users, lessons or groups (selected using the options in the automatic dropdown menu). Notifications. Information about new lessons from groups you are a member of etc. View profile. This is your main profile page. Edit profile. This is the same page that you reach on your first login. Liked Lessons. These are the lessons that you have liked. Groups. Shows you the group that you are a member of. Go to the Upload Lesson page. Go to the Create Group page. The front page displays all lessons. 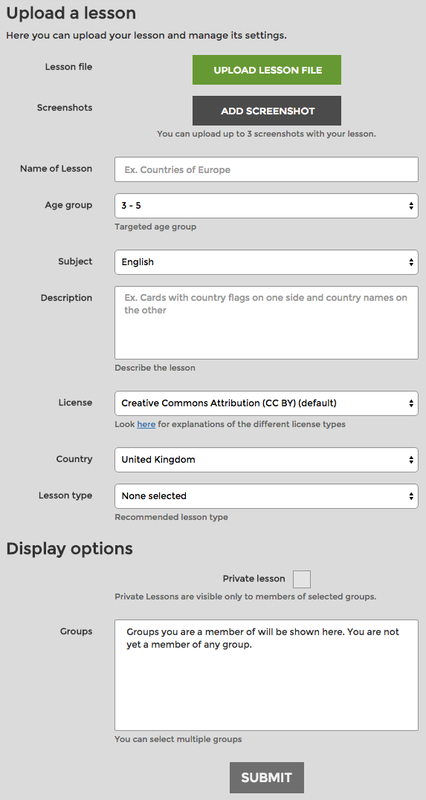 You can select categories of lessons to display, as well as the order in which they are displayed. To display more lessons, simply scroll down the page. The profile page, displays amongst others the lessons belonging to one user (that may be yourself). 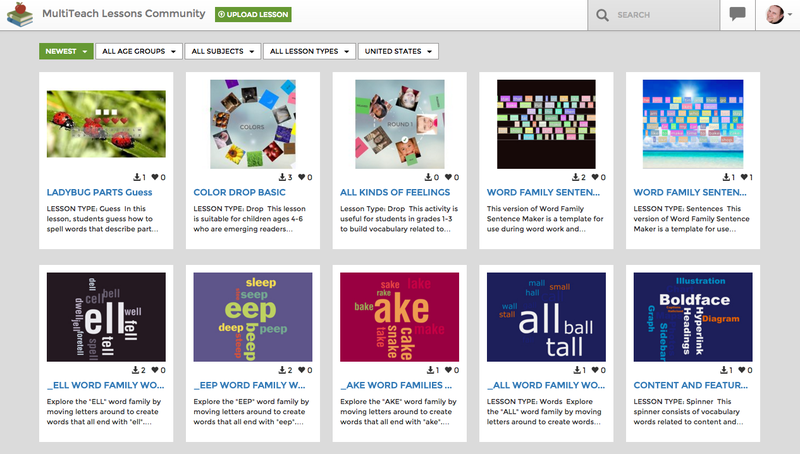 As on the front page, you can sort and filter lessons. You can also sort the other display options. You can visit your profile page using the Navigation Toolbar in the top. You can display other people's profiles by clicking on their names. Their names appear (for instance) in Lessons, searches and group displays. Click on the UPLOAD LESSON button in the Navigation Toolbar in the top. Additionally you can attach up to three screenshots of the lesson. Screenshots can be taken within Snowflake MultiTeach®, using the F12 button on your keyboard. These screenshots are saved to your Documents\Snowflake MultiTeach\Screenshots folder. Give your Lesson a name, for example Presidents of the US in the 1900’s. Here you select in the drop down menu, for which age group you have created the lesson. Here you select in the drop down menu, which subject it covers, for example History. The License field is used to select what license you wish to publish the lesson under. Please make sure you understand the license that you select, because you cannot change the license later on. Select the country for which this lesson is applicable. Here you can select from the drop down menu, for which lesson type you have created this lesson, for example Cards, Match, Quiz or another lesson type. The display options are used for adding a lesson to groups that you are a member of. If you are not an admin of the group(s) that you submitted the lesson to, it will need to be approved by a group admin, before it appears in the group(s). You can also set the lesson as private, in which case it can only be seen by members of the groups that you add it to. We however recommend you to upload lessons not as private, so that other teachers can benefit from the great lesson that you have created. Please describe the lesson in as much detail as possible. This will make it easier for other teachers to find your lesson. Unlike the license field, you can edit all the other settings, so don't worry about mistakes made in these selections. Finally, you can delete a lesson using the DELETE LESSON button furthest down on the page. 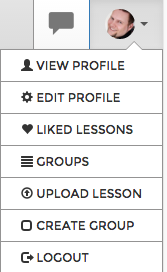 To edit a lesson you have uploaded, first click on View Profile in the navigation bar. This will show you all the lessons that you have uploaded, and you can go to the lesson you want by clicking on it. When you are on the view lesson page, press the edit button in the top right. Press the heart icon to “like” a lesson. Press the download button to download the lesson. Downloaded lessons get the same filename as the name of the lesson (with underscore (_) replacing any spaces or symbols that can't be used in filenames). You can comment on your own and other people’s lessons. You are able to delete your own comments on other people’s lessons, and any comments on your own lessons. When you are viewing your own lesson, press the edit button (which is located in the top of the page), to go to the Lesson Properties page of that lesson. Go to the Create Group page via the profile icon in the top right. To get to Group Settings for an existing group, press the Edit button in the top right of the group page (only visible if you are the admin of the group). After creating a group, you are taken directly to the Group Settings page. Here you can manage memberships and lessons. You can use the Add members feature, to directly add members to the group via their email address. If the person in question is already a user, then they will appear under their set name in the members panel. If the person doesn't yet have an account on the community page, a membership will be reserved for them, and they will receive an email inviting them to join. When they make an account, they will then immediately become a member of the group. Note: Take care to input the correct email address. When managing members, you can freely remove members or reservations, accept new members into the group and promote other people to admins. Note that all admins of a group are equal and can these tasks as well (also including the additional things noted below), so only make people you trust into admins. Managing lessons involves accepting or rejecting lessons that non-admin members of the group wish to add to it. You can also remove a lesson from a group. Please note that this doesn't delete the lesson from the community. You can delete a group using the DELETE GROUP button at the bottom of the page (deleting a group doesn't delete any lessons added to it). Use the Report page (link in the top left of this page) to send reports about inappropriate behaviour and/or about copyright infringements. Please include links to the offending content in the report. If you are signed in, select the report type, describe the report and click the Submit button. If you are not signed in, you will be asked to fill out your email address and verify that you are human before you can send the report. Sending a report will generate an email sent to the MultiTeach® Lessons Community administrator and store the report in a database for reference. In this video tutorial we describe, how to sign up as a user of the MultiTeach® Lessons Community and set up a user profile. In this video tutorial we describe, how to search for, download, and save a lesson from the MultiTeach® Lessons Community Website. After you have downloaded Snowflake MultiTeach®, install it. After you have successfully installed Snowflake MultiTeach®, start the application. In this video tutorial we describe how to export and save a previously created lesson, to prepare for uploading it into the online MultiTeach® Lessons Community. In this video tutorial we describe, how to upload a lesson to the MultiTeach® Lessons Community and complete the settings. In this training video we describe, how to sign up as a user of the MultiTeach® Lessons Community and set up a user profile. In this training video we describe, how to search for, download, and save a lesson from the MultiTeach® Lessons Community Website. In this training video we describe how to import a lesson into MultiTeach®, that you have downloaded from the MultiTeach® Lessons Community. In this training video, we describe how to export and save a previously created lesson for uploading it into the online MultiTeach® Lessons Community. In this training video we describe, how to upload a lesson to the MultiTeach® Lessons Community and complete the settings. In this training video, we discuss the main user interface, the corner menu, several key applications, multi-user collaboration with Zones and much more. In this training video, we go through the Lessons home screen of Snowflake MultiTeach®. In this training video, we explain the usage of the corner menu options in Snowflake MultiTeach®. In this training video, we cover Zones and 180 degree interface flip. Inappropriate comments, lessons content, descriptions & user names. Copyright infringement of uploaded content. Natural User Interface Technologies AB ("NUITEQ"), a Swedish entity with corporate registration number 556731-1344, is committed to maintaining the privacy and accuracy of your personal information and to protecting such information from loss, misuse, unauthorized access, alteration and destruction. NUITEQ wants to give you as much control as possible over information that personally identifies you ("Personal Information"). In general, you can visit our website without telling us who you are or revealing any of your Personal Information. There are times, however, when we may need this information from you. This includes when you request information to be sent to you or contact us about our products or services. We will use this Personal Information to reply to your requests and inquiries to assist the use of our products or online services. Collected data will generally be kept at our service provider in USA. It may in the course of internal use be shared with other NUITEQ companies worldwide as applicable. We also may use this information to provide you with updated information on NUITEQ products and services, to alert you to special product and service offerings, and to conduct research, surveys or engage in other targeted marketing purposes. You may elect not to have your Personal Information used for these limited purposes ("opt-out") by notifying us at the address listed above. Where applicable, you also may opt out by checking the box that indicates, "Check here if you do not want Personal Information disclosed or used." Our web service automatically gathers certain non-personal information about the usage of our site. We collect this non-personal data only on an aggregate basis. This collective data, which is used for internal purposes, helps us improve your online experience and facilitate your visit to our web site. We do not connect this non-personal data to any Personal Information collected from you. Collected data will generally be kept at our service provider in USA. It may in the course of internal use be shared with other NUITEQ companies worldwide as applicable. The web site may use a technology called "cookies". A cookie is a token that a server gives to your browser when you access a web site. Cookies are capable of storing many types of data. Cookies help provide additional functionality to the site or to help us analyse web site usage more accurately. In all cases in which cookies are used, the cookie will not collect personally identifiable information except with your explicit permission. Most browsers allow you to turn off the cookie function. If you want to know how to do this, please look at the help menu on your browser. We process your personal information, primarily your contact information such as name, phone numbers, e-mail address and postal address, to be able to handle your requests on our web site. The requests you make include requests for information about our company, services and/or products, requests for NUITEQ to contact you, requests for demonstration and trial of our products etc. NUITEQ takes very seriously its responsibility to keep your Personal Information private. If you provide your consent, we may select unaffiliated companies to occasionally send you information or special offerings about products or services that are related to NUITEQ's products and services. We will share Personal Information for this purpose only with those unaffiliated companies whose policies regarding Personal Information are consistent with our privacy policies or who agree to abide by our policies with respect to Personal Information. If you accept that your Personal Information can be sent to other select unaffiliated companies for this purpose, you may opt in by notifying us at the address listed above or, if applicable, by checking the appropriate box accepting your permission to disclose such Personal Information. We also may disclose Personal Information when required to do so by law or when such action is necessary or appropriate (a) to conform to the edicts of the law or comply with legal process served on NUITEQ, (b) to protect and defend the rights or property of NUITEQ, or (c) to protect the personal safety of users of our web site. We reserve the right to contact the appropriate authority at our discretion when it appears that activities that are illegal or violate NUITEQ's terms of service are taking place within the context of a member account. Except under the limited circumstances described above, we will not disclose any of your Personal Information to unaffiliated third parties. Currently, this site is used only for disseminating information about our company and products. For this reason, we do not offer services through our web site that would imply disclosure of personally identifiable information. NUITEQ takes reasonable steps to protect your Personal Information. We use technologies and processes such as access control procedures, encryption, network firewalls and physical security. These technologies and methods increase the security and privacy of information traveling to, from and within our web site. We also safeguard Personal Information from unauthorized access. Only authorized NUITEQ employees or agents carrying out permitted business functions are permitted to access Personal Information. Employees who violate NUITEQ's privacy access policies are subject to disciplinary actions, including termination when appropriate. If you would like to review your Personal Information, please notify NUITEQ at the address listed above. We currently do not knowingly collect or use Personal Information from children under the age of 13, and we will not do so in the future without first obtaining verifiable consent from a parent or legal guardian. Should a child whom we know to be under the age of 13 send Personal Information to us, we will only use that information to respond directly to that child, seek parental consent or provide parental notice. NUITEQ is not responsible for the data collection and use practices of merchants and other companies to which NUITEQ's web site may link, or which may link to our web site. This web site is designed to provide general information about Natural User Interface Technologies AB, its products and services. In addition, nothing presented here is intended to provide instructions on the use of the products supplied by NUITEQ. For specific information and instruction relative to NUITEQ's products and services, please refer to the manuals supplied with all NUITEQ products. This site may contain links to other web sites ("Linked Sites"). The Linked Sites are not under the control of NUITEQ and NUITEQ is not responsible for the contents of any Linked Site, including, without limitation, any link contained on a Linked Site, or any changes or updates to a Linked Site. NUITEQ is providing Linked Sites to you only as a convenience, and the inclusion of such Linked Sites is not an endorsement by NUITEQ in favour of any company offering Internet services, products or services on the Linked Site. Any posts or comments on our community web site may not amount to harassment, libel or slander, racism or propagate hate crimes of any kind. NUITEQ shall have an absolute right to delete any posts and comments at all times. NUITEQ may also store removed posts and comments for purpose of providing such posts or comments to the authorities. All copyright rights in the text, images, photographs, graphics, user interface, and other content provided on this site, and the selection, coordination, and arrangement of such content, are owned by NUITEQ or its third-party licensors, to the full extent provided under Swedish law and all international copyright laws. Under applicable copyright laws, you are prohibited from copying, reproducing, modifying, distributing, displaying, performing or transmitting any of the contents of this site for any purposes. Nothing stated or implied on this site confers on you any license or right under any copyright of NUITEQ or any third party. NUITEQ's web site and the information contained in reference herein are for informational purposes only. Any reproduction or copying of any materials or design elements of this site is strictly prohibited, without the prior written consent of NUITEQ. Requests for permission to reproduce any information contained on this web site should be addressed to Natural User Interface Technologies AB, Laboratorgränd 11, 931 77 Skellefteå, Sweden. Notwithstanding the above, NUITEQ authorizes you to make one (1) electronic or paper copy of the information posted on any page on this site, provided that the copy is used solely for non-commercial, personal purposes, and further provided that any such copy remains protected by all copyright, trademarks, service marks, and other proprietary notices and legends contained on the site. Systematic retrieval of data or other content from this site to create or compile, directly or indirectly, a collection, compilation, database or directory without written permission of NUITEQ is prohibited. NUITEQ will endeavour to remove in a timely manner any posted submission which infringes the copyright of any person under the applicable laws upon receipt of written notice and, if applicable, prosecute the submission of false statements. All rights in the product names, company names, trade names, logos, product packaging and designs of all NUITEQ or third-party products or services, whether or not appearing in large print or with the trademark symbol, belong exclusively to NUITEQ or their respective owners, and are protected from reproduction, imitation, dilution or confusing or misleading uses under national and international trademark and copyright laws. The use or misuse of these trademarks or any materials, except as permitted herein, is expressly prohibited and nothing stated or implied on this site confers on you any license or right under any patent or trademark of NUITEQ or any third party. All materials, information, products and services included in or available through this site are provided "AS IS" WITHOUT WARRANTY OF ANY KIND, EITHER EXPRESSED OR IMPLIED, INCLUDING, BUT NOT LIMITED TO, THE IMPLIED WARRANTIES OF MERCHANTABILITY, FITNESS FOR A PARTICULAR PURPOSE, OR NON-INFRINGEMENT. NUITEQ has made and will continue to make diligent efforts to include accurate and up-to-date information on this web site. However, NUITEQ makes no warranties or representations, express or implied, that the information contained or referenced in this site is accurate, reliable or correct; that this site will be available at any particular time or location; that any defects or errors will be corrected; or that the content is free of viruses or other harmful components. All users agree that all access and use of this web site and on any web site linked to this web site and/or the contents thereof are at their own risk. Because some jurisdictions do not permit the exclusion of certain warranties, these exclusions may not apply to you. Neither NUITEQ nor any party involved in creating, producing or delivering this web site, or any web site linked to this web site, shall be liable in any manner whatsoever for any direct, incidental, consequential, indirect or punitive damages arising out of your access, use or inability to use this web site or any web site linked to this web site, or any errors or omissions in the content thereof. NUITEQ reserves the right to alter the content of this web site in any way, at any time, for any reason, without prior notification, and will not be liable in any way for possible consequences of such changes. In addition, NUITEQ expressly disclaims any and all liability related to, arising from, or connected with a linked third party web site. These limitations apply whether the alleged liability is based on contract, tort, negligence, strict liability, or any other basis, even if NUITEQ has been advised of the possibility of such damage. Because some jurisdictions do not allow the exclusion or limitation of incidental or consequential damages, NUITEQ's liability in such jurisdictions shall be limited to the extent permitted by law. NUITEQ reserves the right, in its sole discretion, to terminate your access to all or part of our web site, with or without notice. When we were young kids, going to school wasn’t always as fun as it could have been. Because of this, we felt that we wanted to make learning (and teaching) a lot more fun and exciting than it used to be. At the same time we wanted to make elementary / primary education more engaging and memorable. That is why we have created a multi-user collaborative touchscreen software for K-12 classrooms, called Snowflake MultiTeach®, so that pupils can learn by playing. The Lessons app in MultiTeach®, gives you as a teacher, the ability to create interactive classroom lessons for front of class displays as well as mobile devices. You can either do this on the fly in the classroom, or at your pace on your own computer at home. In addition the great thing about Lessons is, that you literally in minutes can make lessons with your preferred content, so that you always have fresh, new and exciting material available for your pupils, no matter which subject you are teaching. We have created the MultiTeach® Lessons Community, so that you as a teacher can download lessons from other teachers or share your own lessons with education enthusiasts. Want to know how to get started? Have a look at our getting started guide. Q: After I downloaded a lesson, what do I do? A: You can find this info in our getting started guide. Q: Which version of MultiTeach® should I have in order to use the lessons from the MultiTeach® Lessons Community. A: Lessons downloaded from the MultiTeach® Lessons Community, can only be used with Snowflake MultiTeach® 4.8.1 (released on the 6th of August 2015) and newer versions. 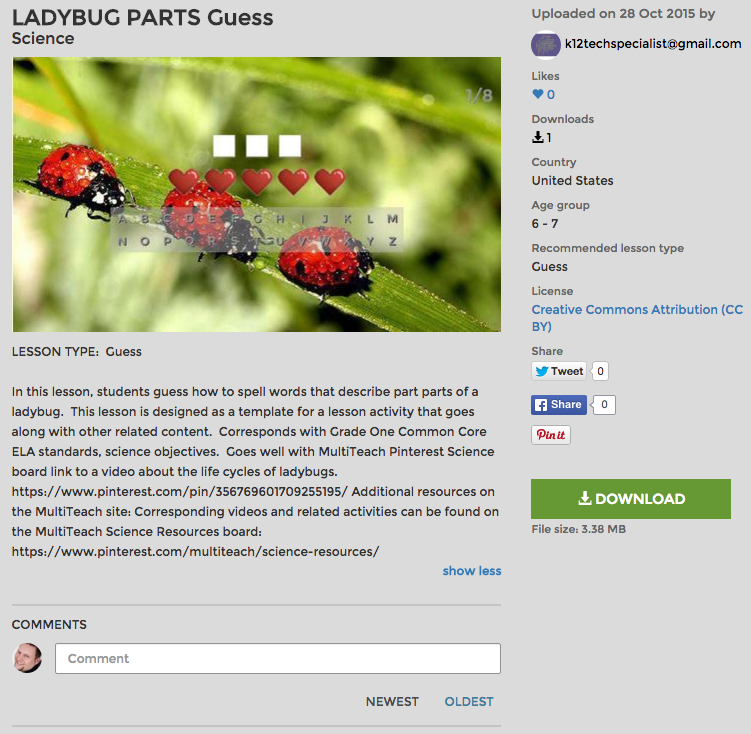 Q: How do I upload lesson to the MultiTeach® Lessons Community? A: We have created a video tutorial in which we describe how to upload a lesson to the MultiTeach® Lessons Community. 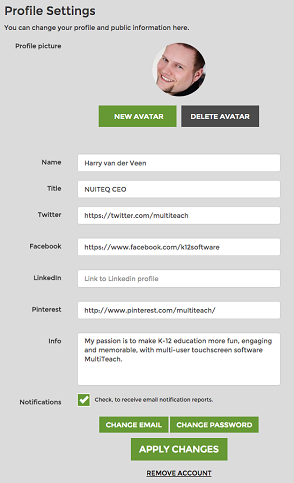 Q: Do I need an account to use the MultiTeach® Lessons Community? A: You can search for lessons and users without an account. If you create an account you can also download and upload lessons, as well as search lessons with search filters. Q: Do you have any resources available? Q: How do I sign up for the MultiTeach® Lessons Community? A: We have created a video tutorial that describes exactly that and also shows you how to setup a user profile. 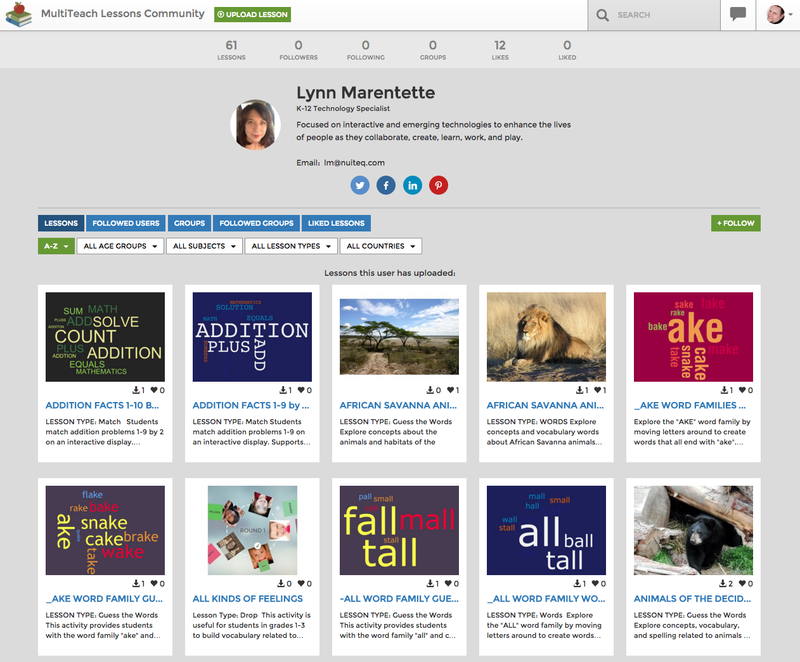 Q: How many lessons does the MultiTeach® Lessons Community have? A: Together with our educational partners, teachers, children and school psychologists, we have carefully put together around 100 touchscreen lessons for you, to help you get started. The MultiTeach® Lessons Community is a place created by teachers, for teachers. As this is a young site, we are looking forward to see teachers helping other teachers out and contribute by populating the community with more lessons. This way we can jointly help the community grow. Q: What if I create a lesson, will it still work with future versions of MultiTeach®? A: Yes. We are making sure that lessons that you create today will continue to work in the future. Q: How do I export a lesson from MultiTeach®, so that I can upload it to the MultiTeach® Lessons Community? Q: How do I share lessons with colleagues? 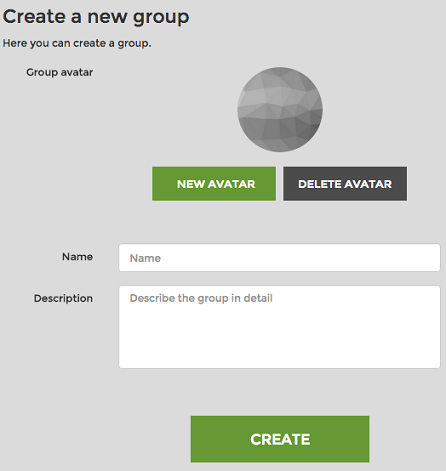 A: It is possible to create groups, for example specifically for your school and you can add your lessons there. You can either make these lessons private, so that only members of your group can see them. Or you can share them publically, which we encourage, so that more teachers can benefit from your creations. Q: How do I use search and download a lesson? A: In this video tutorial we describe, how to search for, download,and save a lesson from the MultiTeach® Lessons Community Website. You've successfully uploaded a lesson!